Undoubtedly, if there is one Bounty that everyone will agree is a blessing for all living-kind, it is water. Although Water covers 70% of our planet, only 3% of the world’s water is fresh water —the stuff we drink, bathe in and irrigate our farm fields. According to World Wildlife some 1.1 billion people worldwide lack access to water, and a total of 2.7 billion find water scarce for at least one month of the year. The consequence of scarcity of water results in exposure to diseases, such as cholera and typhoid fever, and other water-borne illnesses. Two million people, mostly children, die each year from diarrheal diseases alone. By 2025, two-thirds of the world’s population may face water shortages including Pakistan. A 2015 IMF report suggests Pakistan’s total annual availability of water is at 191 million acre feet (MAF). According to the United Nations Development Program (UNDP) and the Pakistan Council of Research in Water Resources (PCRWR), Pakistan will dry up by 2025. In 1960, two of the largest dams in the world, Tarbela and Mangla were built after signing a water treaty with India. Pakistan has the world's largest canal irrigation system - and most of it ends up in Punjab home to just under 60% of its population. Pakistan has the world’s sixth biggest population with a rapidly urbanising demographic making it extremely challenging to meet everyone’s basic needs. According to wateraid.org, 22 million people still have no choice but to drink dirty water, 79 million people do not have a decent toilet that is more than two in five people and Nearly 19,500 children under die 5 years each year from diarrhoea. According to the 2018 Global Climate Risk Index released by the public policy group Germanwatch, Pakistan is among 10 countries affected most by climate change even when it contributes less than 1 percent of the world's greenhouse gases. This affects about 200 million people. A 2017 report by the Asian Development Bank concludes that northern parts of the country will suffer the biggest increases in temperatures and that water per capita will decrease at an alarming rate in coming years. In April, 2018 after extensive consultations with provinces and it is a comprehensive framework to address Pakistan’s water challenge with concrete steps, Pakistan’s first National Water Policy was approved by the PML-N government of that time. In May 2017, Pakistan and China had signed a Memorandum of Understanding through which the first of the five proposed dams, Diamer-Bhasha, is to be completed within 9 years. China will also fund and build the five dams on northern Indus, costing USD 50 billion, for 22,320MW of hydel power (Diamer-Bhasha 4,500MW; Patan 2,400MW; Thakot 4,000MW; Bunji 7,100MW; Dasu 4,320MW). Pakistan requires over $14 billion for the construction of Diamer Basha Dam. The installation of power generation would be done in the second phase through investment from potential domestic and international investors. To deal with the water crisis on hand, Chief Justice of Pakistan, Mian Saqib Nisar, initiated a dam fund for the construction of dams. 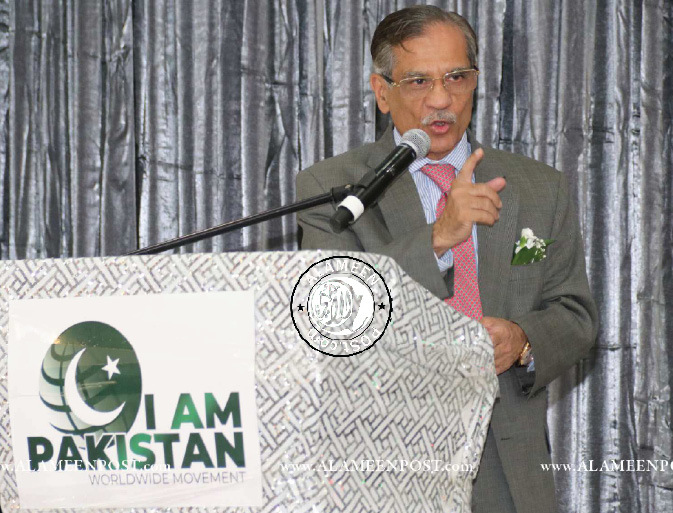 Mian Saqib Nisar was the 25th Chief Justice of Pakistan, in office from 31 December 2016 till 17 January 2019. Nisar ordered the Ministry of Finance on July 4, 2018 to open a bank account under the title of the “Diamer-Bhasha and Mohmand Dam Fund – 2018” to generate funds from the public for the construction of the two dams. On July 6, 2018 when the account was made available, Nisar initiated the drive by depositing 1 million Pakistani rupees ($8,120) in the dam fund from his personal account. On September 7th, In his second speech to the nation, the new Prime Minister Imran Khan took over the dam fund, saying it was not the chief justice’s job. He appreciated Nisar’s efforts but said that it was the job of the civilian government who had neglected the task for years. "There is no question that we are faced with several significant problems," the prime minister said as he began the address. "Our debt today stands at Rs30,000 billion but the biggest problem we currently face is the water crisis. "When Pakistan was made, every Pakistani had 5600 cubic metres of water. Today that stands at only 1000 cubic metres." "We have storage capacity of only 30 days for water when the safe period for water storage is 120 days. India has a capacity of 90 days. This is why making the dam for us is so important." On September 24, the Supreme Court approved a change in the name of the Diamer-Bhasha and Mohmand dam fund. The fund will now be called Supreme Court and Prime Minister’s fund for Diamer-Bhasha and Mohmand Dams. As of September 24, the share of overseas Pakistani donations in the fund was just 7.8 percent of the total donations. As this grassroots worldwide movement was gaining momentum, among the 9 million Pakistanis living abroad Ahmad Syed heard the plea of Chief Justice Nisar and Imran khan. This movement needed an avenue to channel their zeal and passion for the development of their nation, and thus #I AM PAKISTAN MOVEMENT was born. ‘I am Pakistan’ also launched a website under the domain “iampakistan.co” on 2019-01-16. This is the official one of all the registered domains under the name of ‘I am Pakistan’ with various extensions. Ahmad Syed at the fundraiser held at Surrey announced that ‘I am Pakistan’ does not have a bank account. The organizers of the fundraiser had earlier announced that IPM representatives have been spending their own money in the fundraising tours. Fundraiser in Surrey British Columbia. Since the announcement of the dates, Canadian nationals of Pakistan origin have grouped together to help raise awareness and solicit funding for the dams. By December of 2018 Pakistanis in Canada had donated about Rs107 million ($1,018,665 cdn) to the fund. To increase more awareness about the project, the fundraiser in Vancouver was part of the nine events held across Canada. Countless volunteer hours had been invested leading to the event, which saw a record turnout of over 1100 people. Sajid Hameed one of the most arduous volunteers has been on the campaign for the last 3 months. Whether it be selling tickets, looking for sponsors, recruiting volunteers, dispelling any doubts about the funds raised, has done it all. Asad Syed one of the organizers acknowledged the contribution of Canada to build the first Dam in Pakistan. Warsak Dam was completed in two phases and financed by the Canadian Government. The first phase was completed in 1960 and consisted of the construction of the dam. Irrigation tunnels and installation of four power generating units, each of 40 MW capacity with 132 kV transmission system, were also completed in 1960. Two additional generating units of 41.48 MW capacity each were added in 1980-81 in the second phase. Zahir Mahil acknowledged all the Pakistani organizations that worked together for this fundraiser. They jointly opened a bank account for the purpose of the event expenses – Hall booking only. They are Pakistani Canadian Cultural Association PCCA, Pakistani Canadian Women’s Society and Friends of Pakistan. 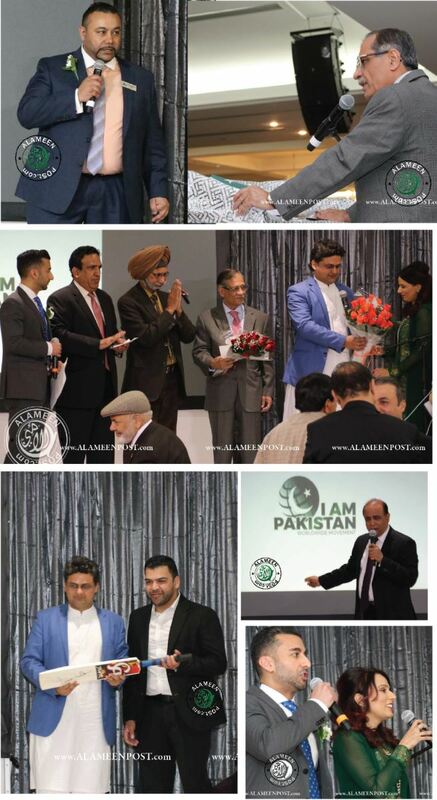 “Iam Pakistan” Canada President, Bilal Cheema who was part of the Canadian tours thanked the Chief justice Mian Saqib Nisar and Senator Faisal Javed Khan for their support and initiative. He highlighted their accompaniments of each other to be the strength in these tours. The event did start 2 hours late but the excellent MC duo, Saima Naz and Hasan Alam made it so much welcoming that the event went thru like a breeze. Overall about $300,000 is expected to be raised through pledges and donations in kind and ticket sales.